Texas Gov. Greg Abbott joined legendary country music singer George Strait Tuesday ahead of a benefit concert for victims of Hurricane Harvey. Tuesday's concert in San Antonio coincided with the nationally broadcast Hand in Hand telethon to raise funds for victims of both Hurricanes Harvey and Irma. 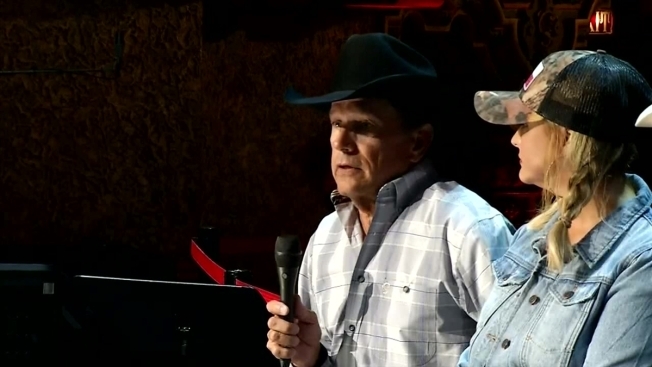 George Strait performed Tuesday along with singers Miranda Lambert, Chris Stapleton, Lyle Lovett and Robert Earl Keen. Select performances from the show were broadcast during the Hand in Hand telethon. Hand in Hand merchandise, like shirts and caps were also being sold with proceeds going to the relief fund. CLICK HERE to shop.